Ray Key's workshop is in Evesham, on the border of the Cotswolds. He has been turning wood for over forty years, since 1973 it has been his full time occupation. His work is in many major private collections worldwide and in the permanent collections of a number of museums. 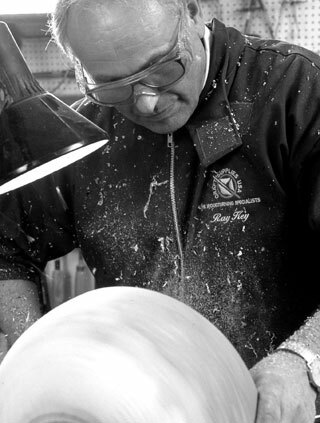 In 2001 he was made a Life Member of The Association of American Woodturners, he is the only non North American afforded this honor. Some of the things Ray will be discussing and demonstrating include: different lid styles for boxes; rim designs for platters; bowl shapes; end grain vessels and different chucking techniques.